There are currently 3,609 users on this website. 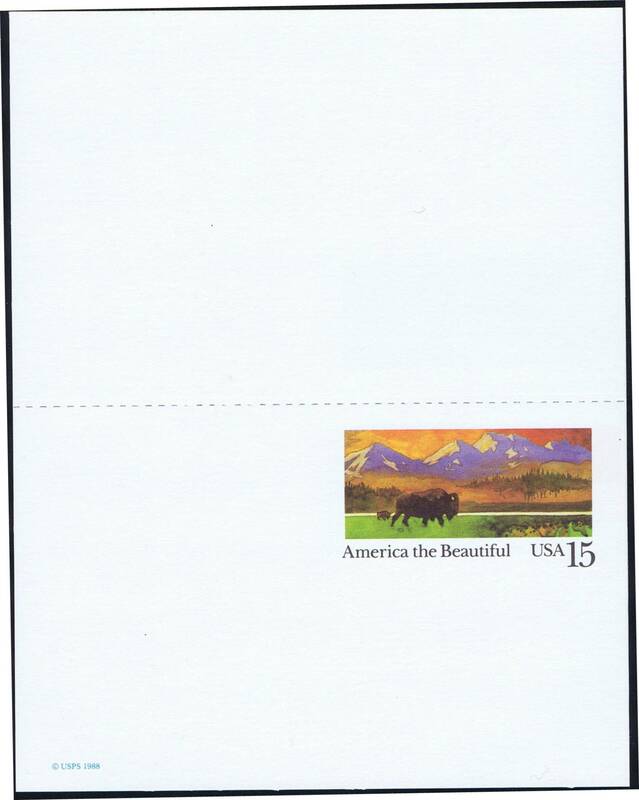 UX120 is a very common postal card since 733,005,000 were printed. 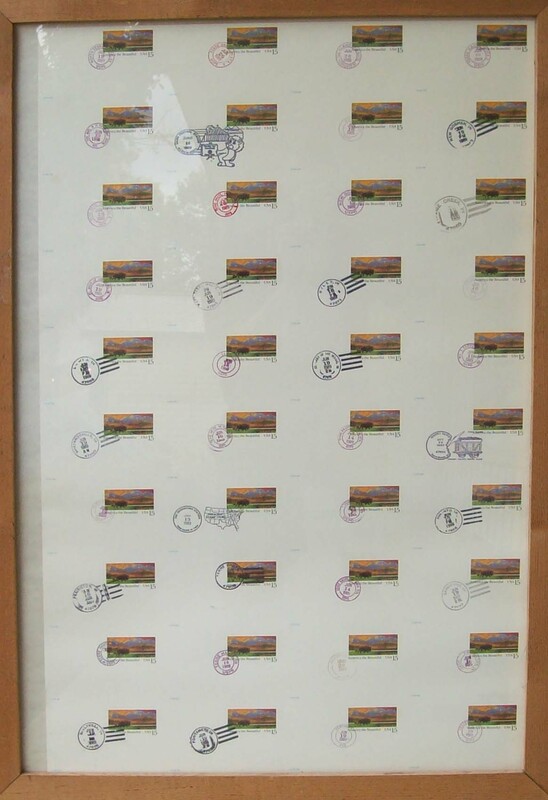 One sheet was printed on both sides and 42 cards were returned for destruction. Here one of the 38 that escaped. Interesting. 40 cards per sheet? I notice that the color is a litle softer looking printed on the back. How did this manage to pass through the inspectors and quality control? What does the back side of a normal card look like? They were printed on on the sheet-fed, high speed, Roland Man 800, five-color (one used for tagging), offset press. 80 (8x10) cards per sheet. They were sold in single cards, sheets of 40, and banded lots of 5 cards. I forgot that the sheet were divided in two. So only one sheet was printed on both sides. 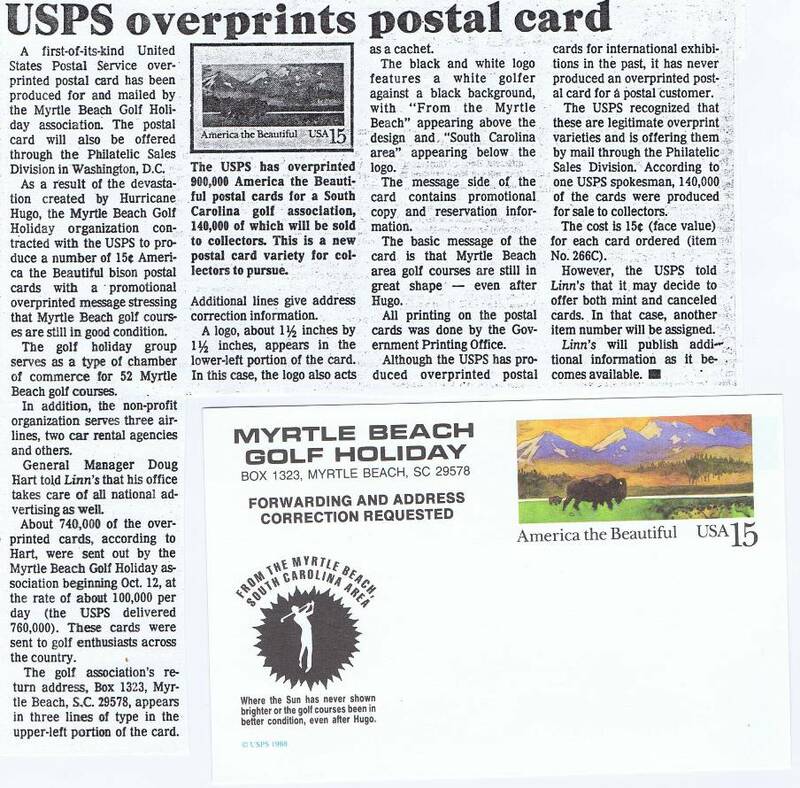 Postal cards are printed by the Government Printing Office and not the BE&P at that time in 1988. I suspect someone picked up a printed sheet, looked at it, and put it back upside down on an unprinted stack of paper. It may have been an accident or on purpose - who knows. As to quality control I doubt they looked at each sheet and even if they did they would only look at one side of the paper. At first I thought you might ask how I know which side is the front. How do you know which is front and which is back? Great item. Thanks for posting. LOL! Oh that's easy - I just picked the side the darker colors. Both sides look about the same to me. My catalog says the initial printing was done on Hi-bright card stock and subsequent printings were done on low level fluorescent or inert card stock. The ink looks simply lighter on the 'back' side. On a 'normal' card the backside is completely blank. Here's another interesting tidbit I found along with the other card. To extend the record here, the Linn's article was in the October 23, 1989 issue, page 23. I wonder why the card was never listed in Scott? 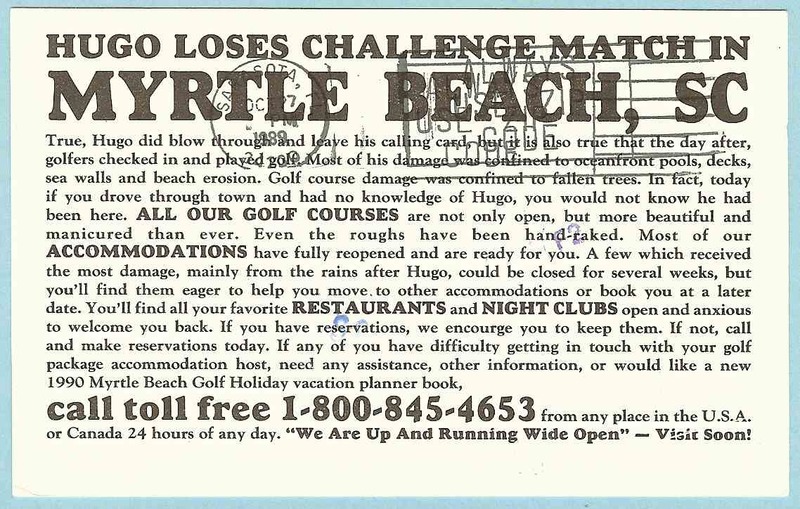 Here is an actual used version of the golf card with nice pointing hand mark and a backstampd date of Oct 27, 1989. Finally, here is a full sheet of UX120 I have shown before. I bought it over the counter at the main PO in Indianapolis when current and took it around to various offices to obtain hand cancels. Most clerks I encountered had never seen sheets of cards before. Thanks for new info. 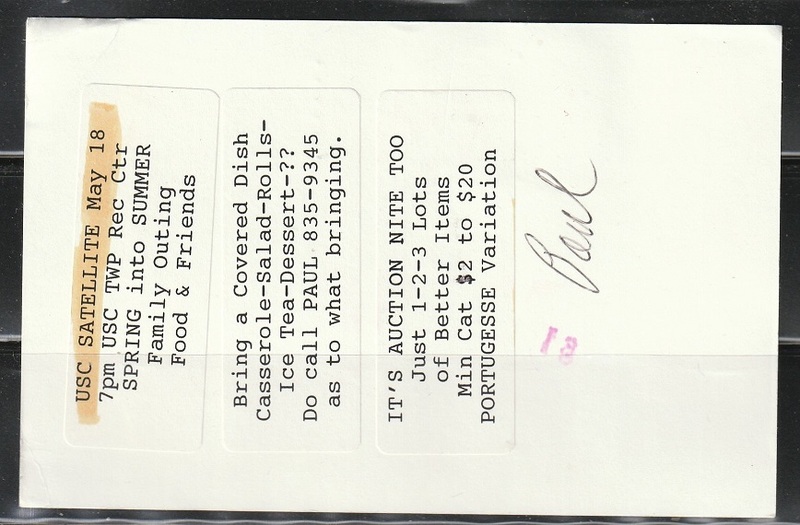 I like how the cancel is on the back of the postal card. At least the PO tried to cancel the mail back then. Now days almost nothing I get in the mail is cancelled and they wonder why they are losing money. I like the sheet, but have you turned it over? 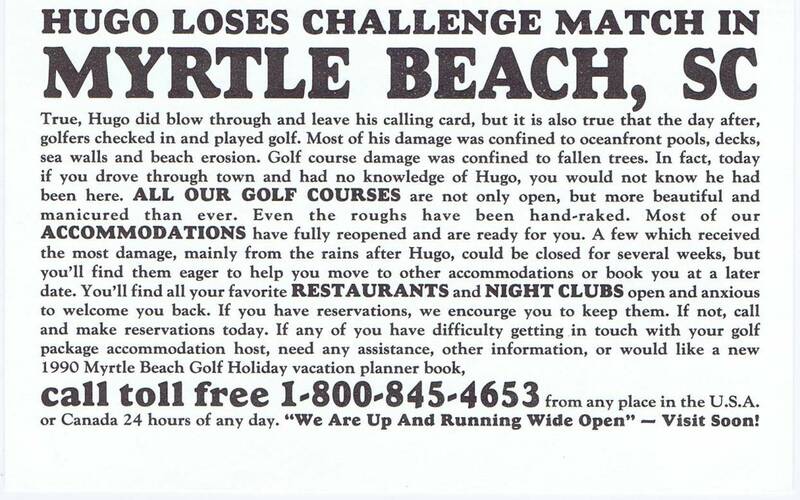 The Sarasota cancel on the reverse side of the golf card is part of the return processing. 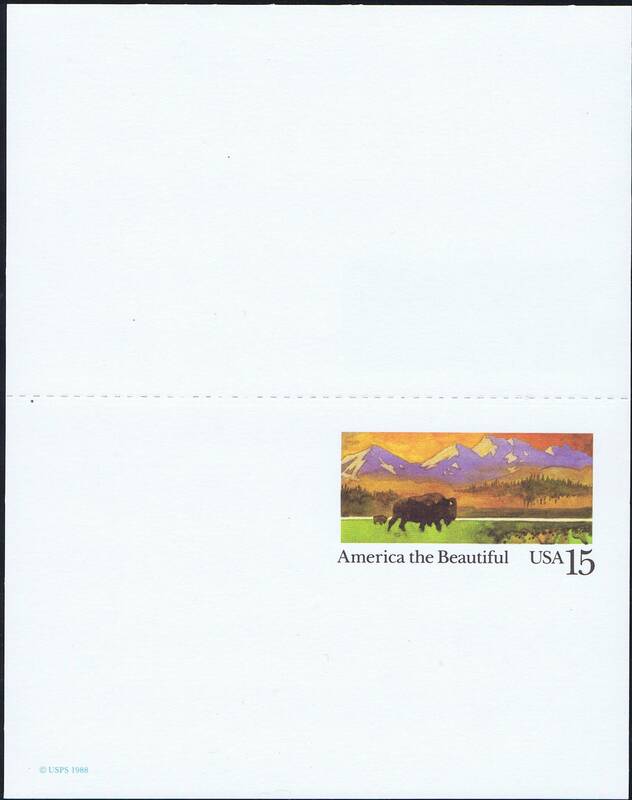 Even with the PO not canceling a considerable amount of mail these days, I suspect the self adhesive nature of current stamps and the diminishing use of stamps means that the PO is not losing very much revenue to reuse. Certainly not enough to pay for the increased inspection and enforcement. The sheet of cards is blank on the reverse side. Sadly! Interesting that the cancel is on the back of the card and not the front. Have you checked it for tagging? That's how the cancelling machine knows which side the stamp is on. 1typesetter, take a closer look. 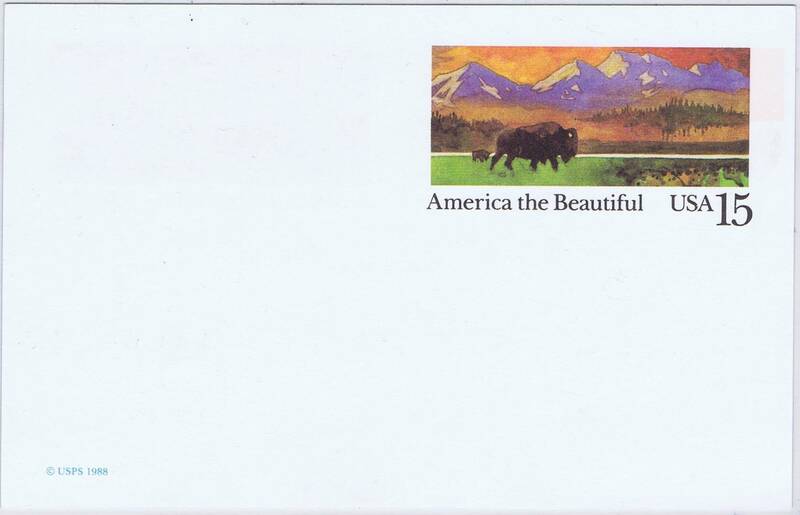 What's missing is any origin postmark from South Carolina. The Sarasota machine cancel is an International Flier machine. It is a single-head machine and requires manual facing of the mail. It has no ability to "see" tagging like the larger facer-cancelers you are thinking about. 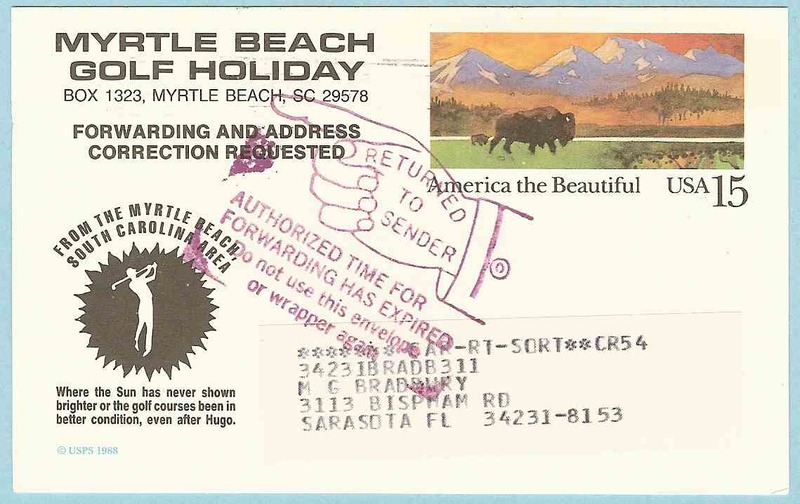 It was used as part of the nixie operations by the receiving office to return the mail as non-deliverable - note the card is addressed to Sarasota. 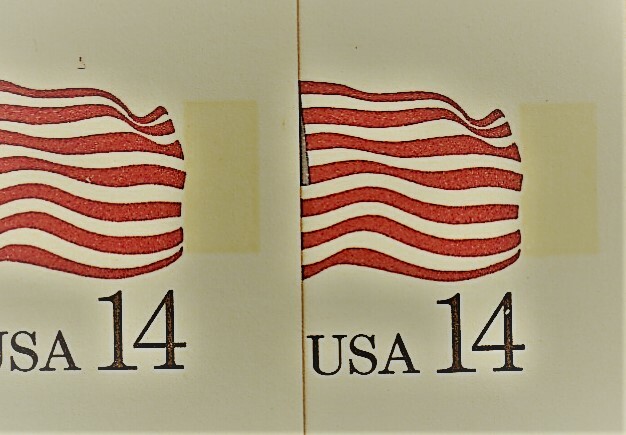 The Sarasota mark was placed intentionally on the reverse. Sometimes even twice a day. Thanks for the info. 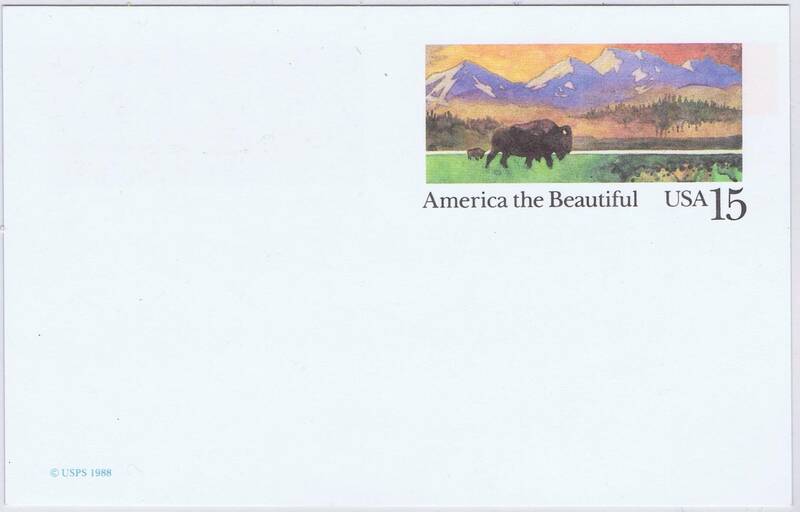 The tagging on this postal card is a yellowish vertical rectangle to the right of the picture. You can just see it on all the scanned cards. Just for completeness sake here's UY39. Note that the colors aren't quite the same on the front and back much like the UX120b.